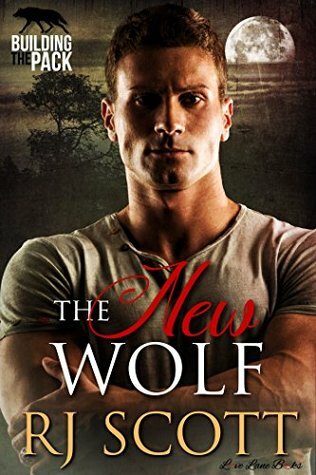 Publisher: Love Lane Books, Ltd.
Blurb: A dangerous lone wolf is intent on destroying the beginnings of a pack and when Connor is attacked and near death, there is only one thing that can save him. A wolf shifter’s bite. N.B. Originally published through Extasy Publishing, this edition features the same story with new cover art. After a hate crime leaves one of them near dead, Veterinarian, Josh Nolan and Cop, Connor Vincent are starting a new life in Black Creek, a remote town on the edge of the Green Mountains Park, Vermont. Josh is taking over his grandfather’s practice and Connor settles into working in the sheriff’s office covering the area. When Connor pieces together a whole list of unsolved crimes going back fifty years he puts his life, and that of his partners, in danger. A dangerous lone wolf is intent on destroying the beginnings of a pack and when Connor is attacked and near death there is only one thing that can save him. A wolf shifter’s bite.